Roti is a Surinam/Hindu dish. 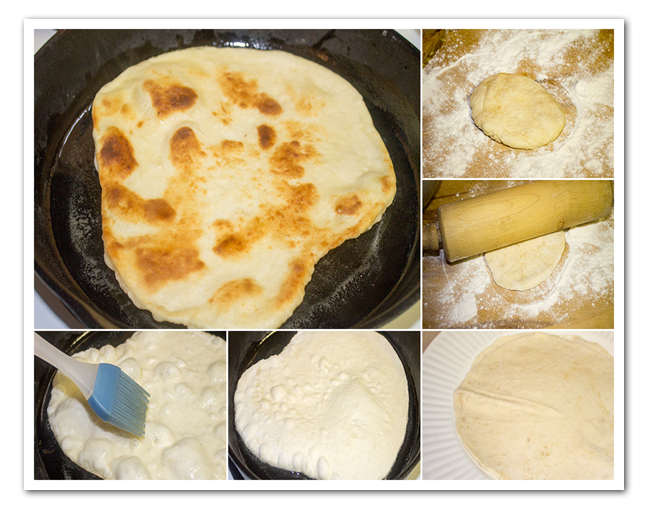 If you don’t want to make the bread you can use Naan bread. The roti massala consists of round bread with filling. The bread is made from flour. The filling consists of meat , potatoes and vegetables . The appropriate vegetables for roti massala is green beans, eggplant, endive or dhal (yellow peas). 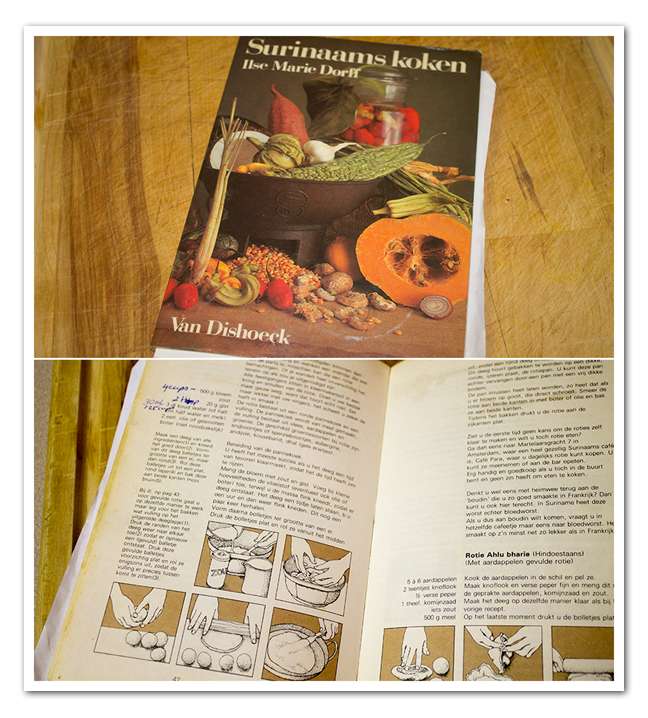 I got this recipe from one of my favorite cookbooks” Surinaams koken”. If you can’t get the massala then you have to improvise, I made a mix of my own. 1 tbsp garam marsala and 1 tbsp curry. It’s not the real thing but it’s close enough. If you can get your hands on massala use that. 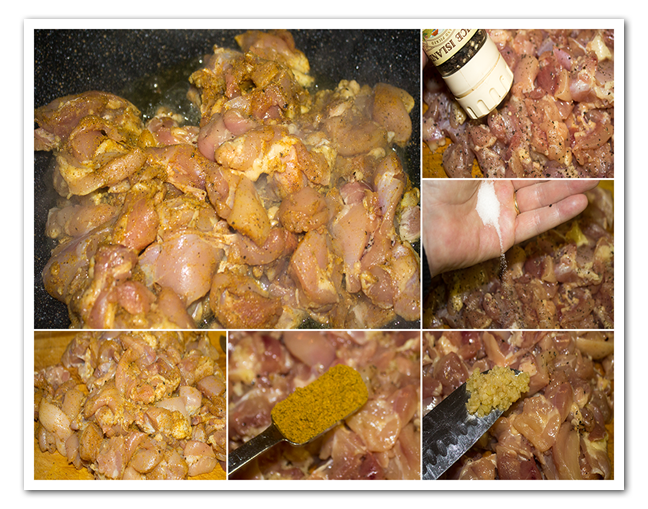 Season the chicken with pepper, salt, minced garlic, 1 tbsp massala. Put some oil in a pan make sure it’s hot. Roast the chicken for about 10 minutes on all sides. 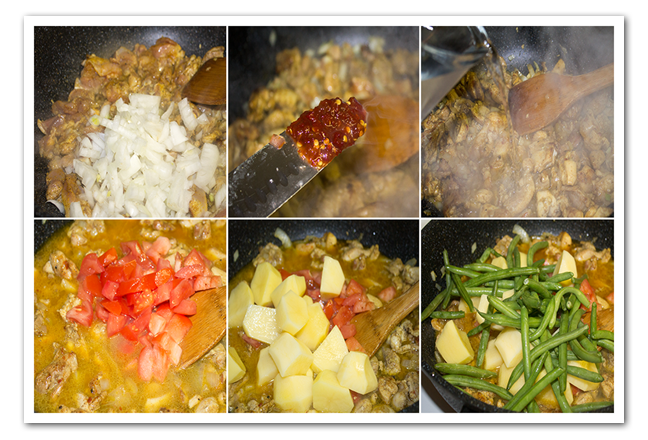 Add the minced onion, sambal and 2 cups of water, chopped tomatoes, peeled and halved potatoes and green beans. Add 1 cube bouillon cube, the bay leaves and 1 tbsp massala . Stew till the potatoes are done (about 20 min). If it starts to dry out add some water. There should be enough water to dip the bread. If you like the “sauce ” thick add some diluted cornstarch. Roti is Hindu dish. 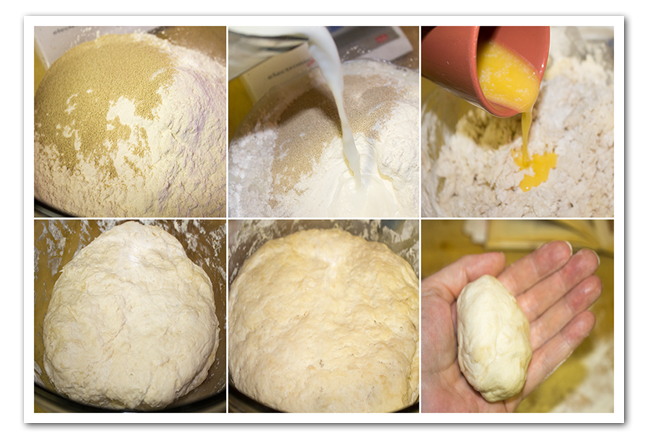 If you don't want to make the bread you can use Naan bread. The roti massala consists of round bread with filling. The bread is made from flour. The filling consists of meat , potatoes and vegetables . 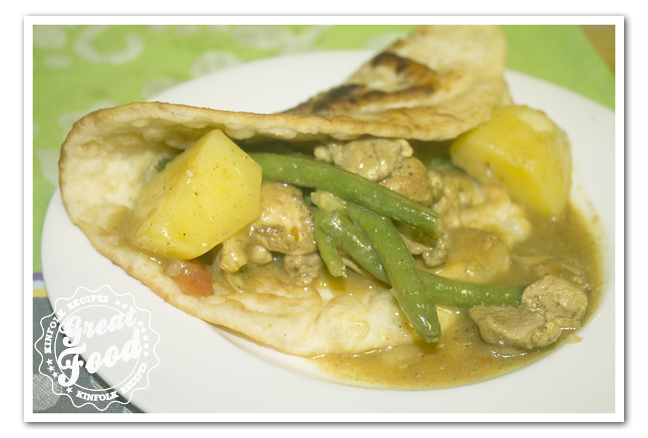 The appropriate vegetables for roti massala is green beans, eggplant, endive or dhal (yellow peas). I got this recipe from one of my favorite cookbooks Surinaams koken. If you can't get the massala then you have to improvise, I made a mix of my own. 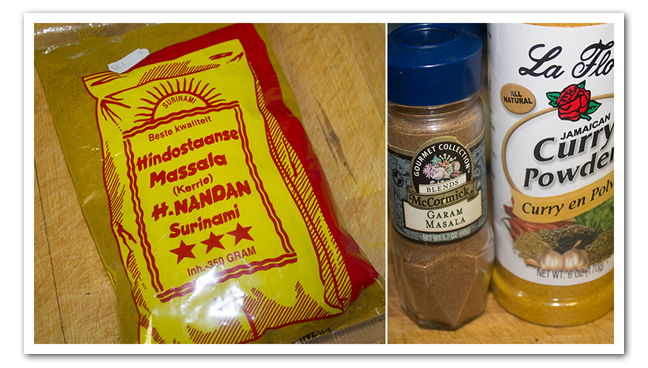 1 tbsp garam marsala and 1 tbsp curry. It's not the real thing but it's close enough. If you can get your hands on massala use that. Season the chicken with pepper, salt, minced garlic, 1 tbsp massala. Put some oil in a pan make sure it's hot. Roast the chicken for about 10 minutes on all sides. Add the minced onion, sambal and 2 cups of water, chopped tomatoes, peeled and halved potatoes, green beans. Add 1 cube bouillon cube, the bay leaves and 1 tbsp massala . Stew till the potatoes are done (about 20 min). If it starts to dry out add some water. There should be enough water to dip the bread. If you like the "sauce " thick add some diluted cornstarch. Instead of regular potatoes I tried it with sweet potatoes. Tasted wonderful.